Dr. Felipe Cubas is Board Certified in Emergency Medicine and holds an MBA in Health Administration from the University of Miami. 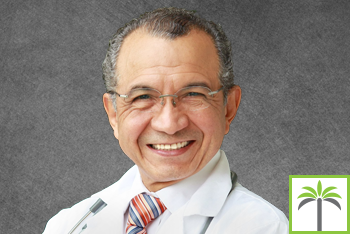 He has been practicing emergency medicine and urgent care services since 1981. Felipe Cubas, MD, was one of the founding members and fellow of the American Academy of Emergency Medicine and has been an instrumental part of the development of urgent care in South Florida. Dr. Cubas was formerly the owner and Medical Director of an urgent care in Southwest Ranches and has joined AssociatesMD Medical Group as a practitioner in order to dedicate equal time to family practice as well as emergency medicine. Dr. Cubas sees patients at the Urgent Care in Pembroke Pines as well as the AssociatesMD Davie clinic. A Multi-Specialty Medical Group delivering Innovative Care Dedicated to Excellence. Get trusted advice from the doctors at AssociatesMD and stay up-to-date.